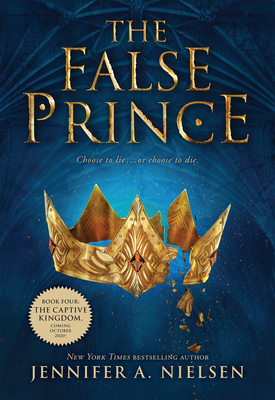 Jennifer Nielsen’s newest novel The False Prince is a stunning story that is perfect for any tween, teenager or adult who is looking for a fantasy adventure. Sage and three other boys are taken from their orphanages and forced to undertake a dangerous mission of becoming a false prince. The catch of this already frightening task is that they have to compete against each other to see who looks and acts the most like the lost prince. No one knows what happens to the three boys who lose. This book was fantastic. I love how defiant and independent Sage is throughout the entire story. He refuses to become someone he is not, even at the cost of his own well being. I also like how intelligent and mature Sage is for his age. He is clever and witty and can often follow complicated plots without being told all of the details. Nielsen created fantastic characters and an exciting plot that is sure to leave readers speechless. I can’t wait for book two, which comes out in March – just in time for the Tucson festival in fact. Jennifer Nielsen will be at this year’s Tucson Festival of Books and we are so excited to meet her. We are hoping she will have time to sign with us at our booth, but if not she is planning on stopping in the booth to meet everyone. Check our website the week of the festival to find out is she will be signing with us.